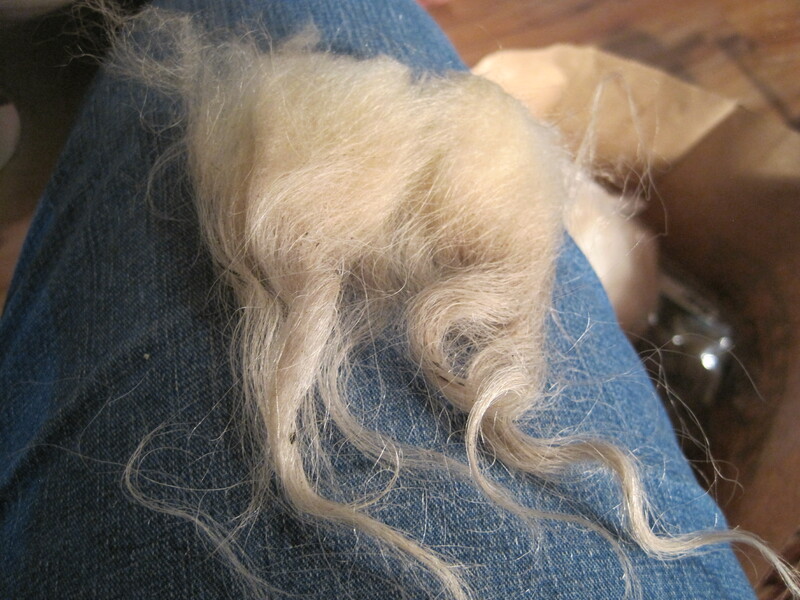 I joined a spinning study group – two days to focus on spinning fleece from one breed of sheep. Our study for September 2015 was Icelandic Sheep. What a lovely range of colours. Judith presented background information on the history of Icelandic sheep and the culture and environment found in Iceland. She researched reputable sources to provide accurate information. Icelandic sheep are a primitive breed that is reported to have arrived on Iceland with the Vikings in around 800 AD and they have survived in relative isolation since then. The isolation and strict agricultural restrictions of Iceland are probably responsible for this breed’s lack of immunity to many diseases. Icelandic sheep were successfully imported to Canada in 1990 under strict regulations and these sheep thrived and provided the foundation breeding stock for all Icelandic sheep in North America today. Icelandic sheep are dual coated, with a long, wiry outer coat called tog and a short, soft, downy undercoat called thel. The combination of these two coats allow the sheep to survive the strong winds and heavy rain that is common to Iceland. 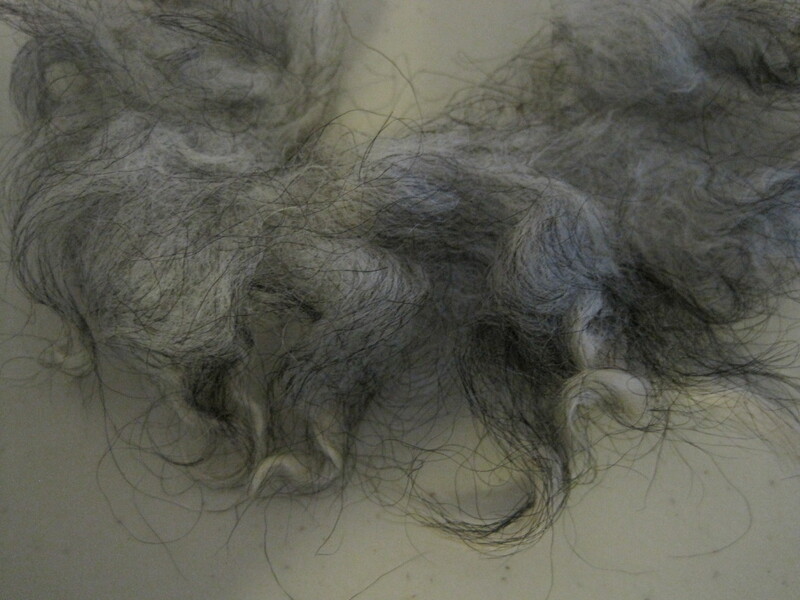 Both parts of the fleece can be spun, separately or together to create a wide variety of yarns. 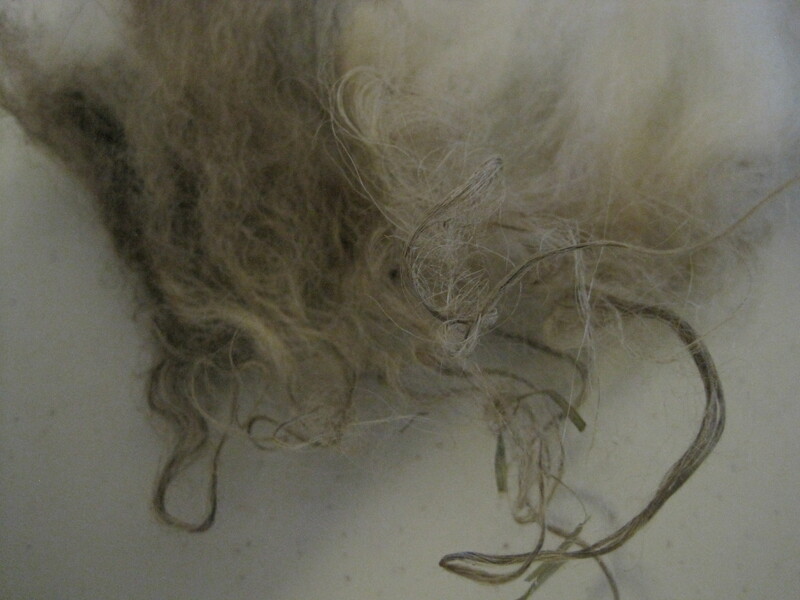 Fleeces come in a wide variety of colours in the tog, in the thel, and in the colour, pattern, and spotting that occurs on each individual sheep. The outer coats can grow up to 18 inches per year, so the sheep are usually sheered in Spring and again in Autumn. After this lovely introduction we had the opportunity to play with some Icelandic Sheep fleece. We were exposed to five unique sheep of the Icelandic sheep family, raised on the British Columbia Tideview Farm of Jane Hutchins & Robert Byers. Mary and Cheryl presented different methods of preparing and spinning the different fleeces. We had individual bags of each sheep’s fleece, more than enough for two days of spinning and lots for homework as well. First up was Charles, a white 5 year old ram. The fleece had a white thel, and a mostly white tog, although some grey tog was also present. 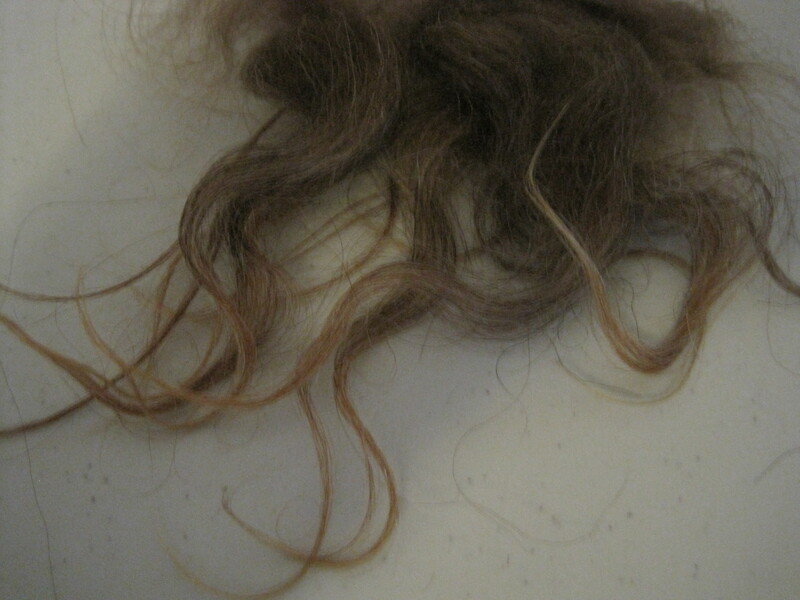 The left photo shows some locks picked from the fleece. The right photo shows (from the top) thel, tog and full lock. 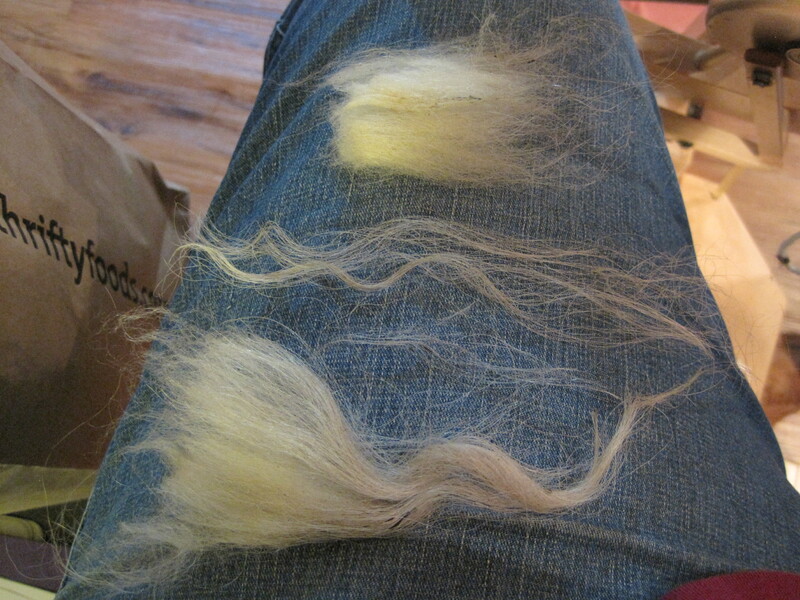 i) a worsted 2 ply, short forward draw, with both coats, fibre just picked apart. iii) semi-worsted, 2 ply, short backward draw, with both coats carded together on wool hand cards. I spun and knit some small samples to see how the yarn would behave. The combined yarn with tog and thel just picked and spun has a nice crispness for knitted lace. The carded sample is dense and warm, good for an outdoor winter sweater or mittens. The yarn from Charles washed up to almost white with a few of the darker tog showing up occasionally. Janet is a Ewe lamb, grey thel and a mixed grey, white, black tog. Janet is young, bouncy and lively to spin. i) The white and grey togs, which were longer were pulled out. The black togs were the same length as the thel and I was unable to pull them out easily. The thel was carded on wool hand cards and any resulting neps and lumps were discarded. The thel (with black tog) was spun 2-ply woolen with point of contact long draw. Easy to spin and the resultant yarn is soft and hairy. Could be used for a sweater. 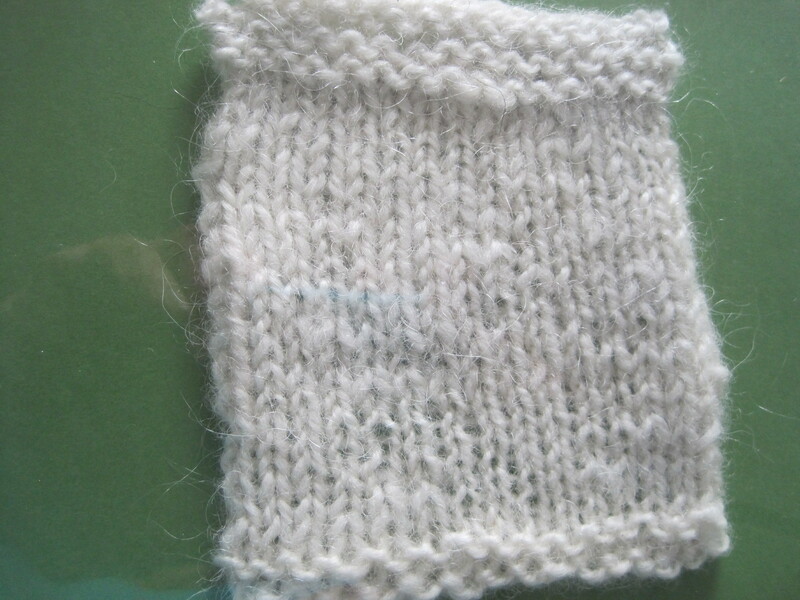 ii) the white and grey togs were spun as 2 ply worsted. Resultant yarn is strong and smooth. Could be used for warp. Thuja is a 3 year ewe, a moorit with brown thel and a mixed gold, brown, grey tog. The thel is very soft, and the tog silky. i) the tog hairs were pulled off and the thel spun with supported long draw, 2 ply. 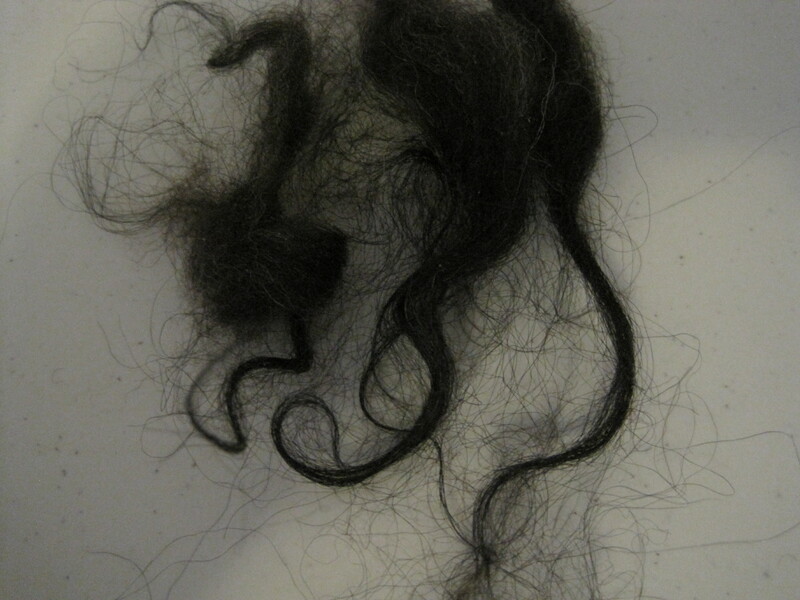 Resultant yarn could be used for a lace shawl or used in a sweater. i) the tog was separated out using the edge of the wool card, resulting in a soft thel cloud. The thel was carded and spun worsted from the rolag. 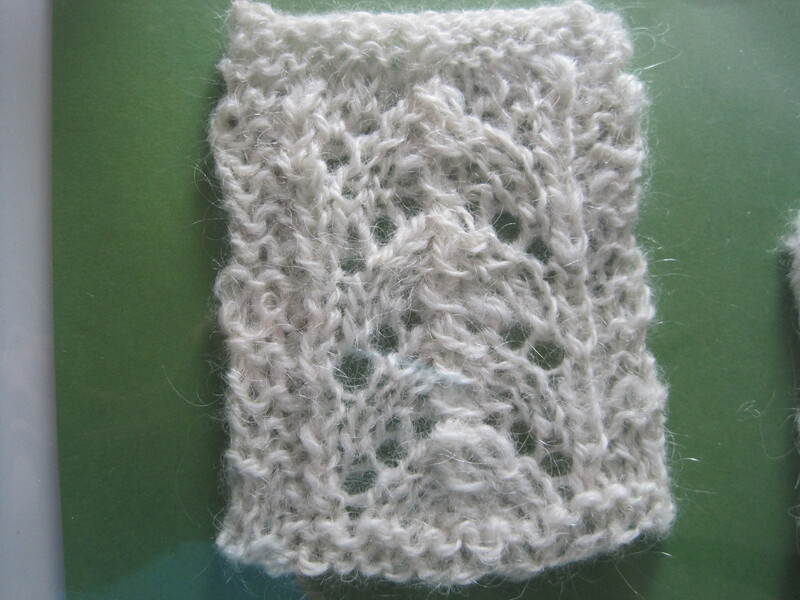 The resultant yarn could be used for a lace shawl. ii) the tog was opened on the wool cards and spun from the locks with the fibres held parallel. Spun worsted short forward draw and plied 2 ply. The study was topped off with an introduction to Iceland’s knitting culture and traditions. I think most of the yarn would be suitable for outer wear, not next to the skin. If I spin enough I will make some Icelandic style mittens with all the colours included. I still have a lot of exploring to do with these fleeces yet. This entry was posted in Spinning and tagged colour, handspun, Iceland, Icelandic sheep, knitting, spin, Spinners, Spinning, Spinning wheel, Textiles, thel, tog, Wool, yarn. Bookmark the permalink. thanks, although spinning from the sheep’s back is lots of slow work, so they will probably not be anytime soon! Thanks, it really was great.